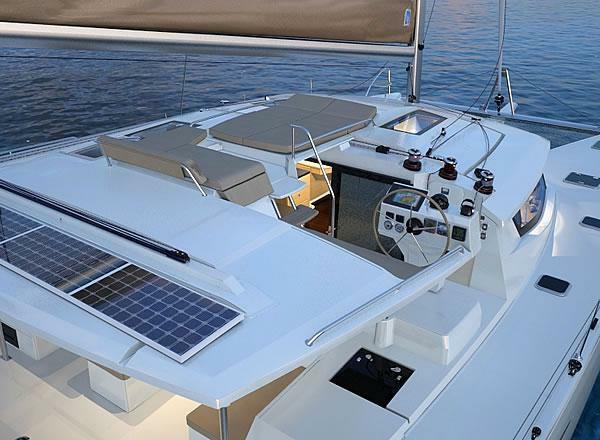 Catamarans…once a taboo word within the sailing community, are now without doubt the most popular boat for holiday charters and cruising groups all over the world and with the production of Catamarans being taken up by all the leading manufacturers, this is a style of cruising that is only going to get bigger and stronger. 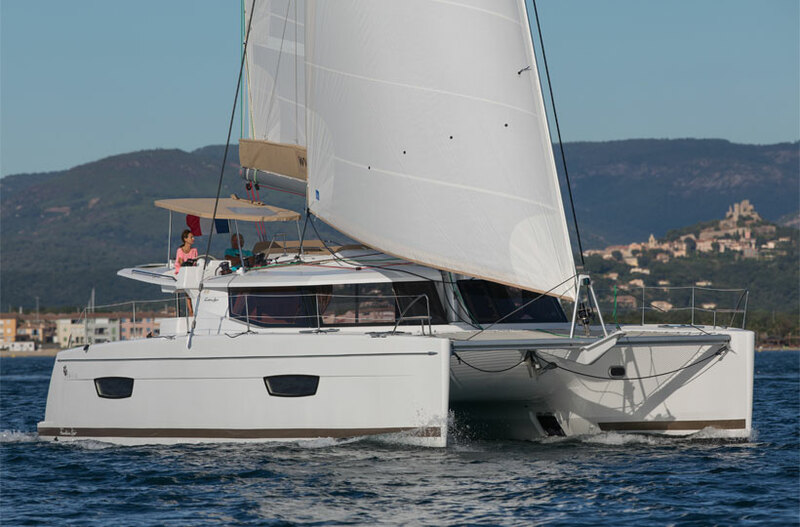 Never has this statement been more true than when you describe a catamaran for use while on a sailing holiday! 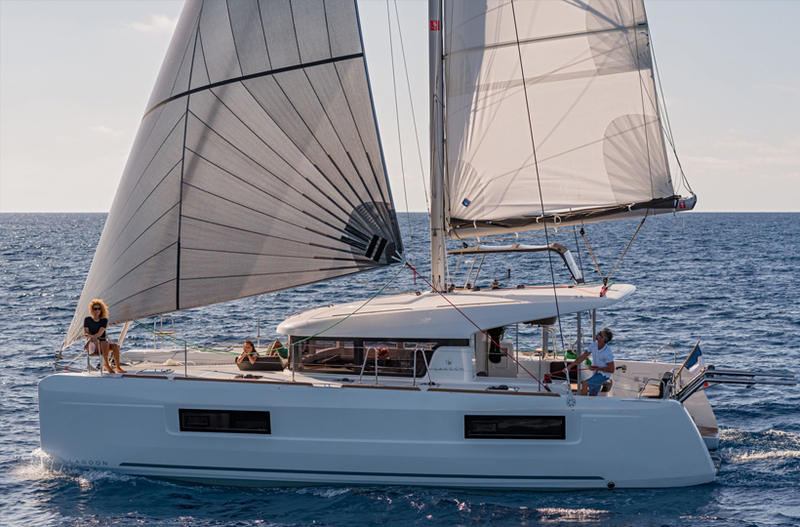 The amazing stability that the two hulls provide, make cruising so comfortable, sailing holidays are not all about the excitement of the sail, it is also about relaxing and unwinding, some find this peace in sailing hard and getting wet and feeling the wind in your hair. 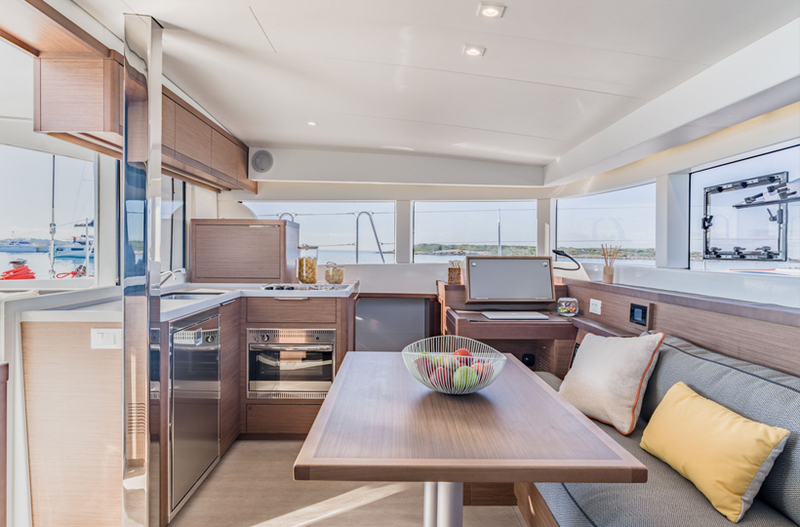 For some members of your family or group, this might be achieved by finding a comfortable spot for a lay down, maybe read a book, sip on a rum punch or maybe have a nap, the cats provide a great world for both, giving the perfect base. 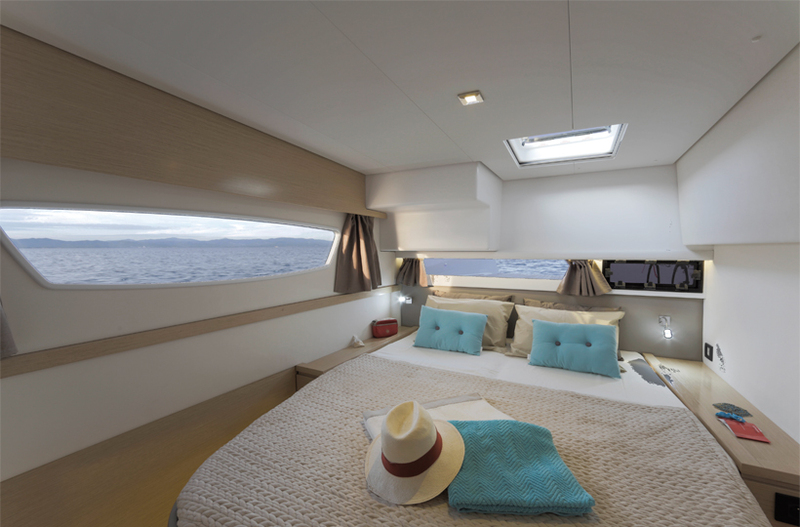 Way More than 50% of your time on your holiday will be at anchor, few anchorages (the quiet ones!) are 100% free from swell, so having a Cat reduces the roll and increases your comfort. 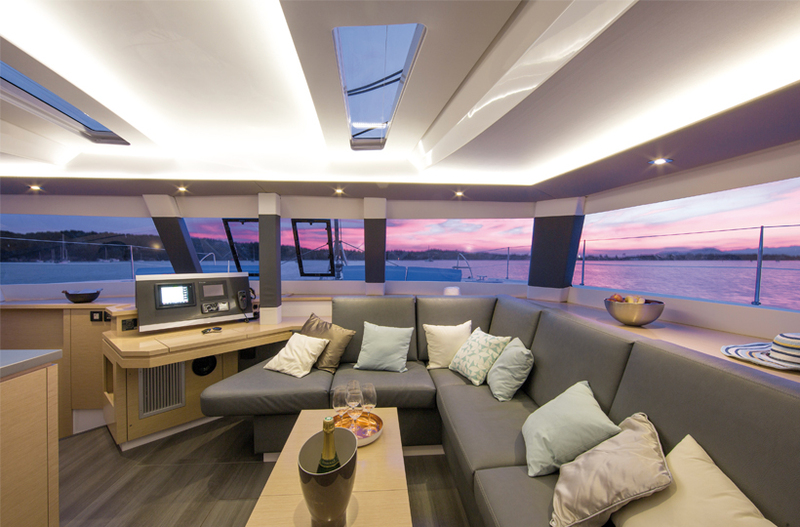 Never has it been more satisfying than to sit at anchor…perfectly flat, sipping a glass of your favourite, watching the anchor lights of the mono hulls swinging in the night sky! With this in mind, Marine Events, has teamed up with a Charter company in the British Virgin Islands and is creating magical holidays in what is to be considered one of the best, most accessible holiday sailing destinations in the world. 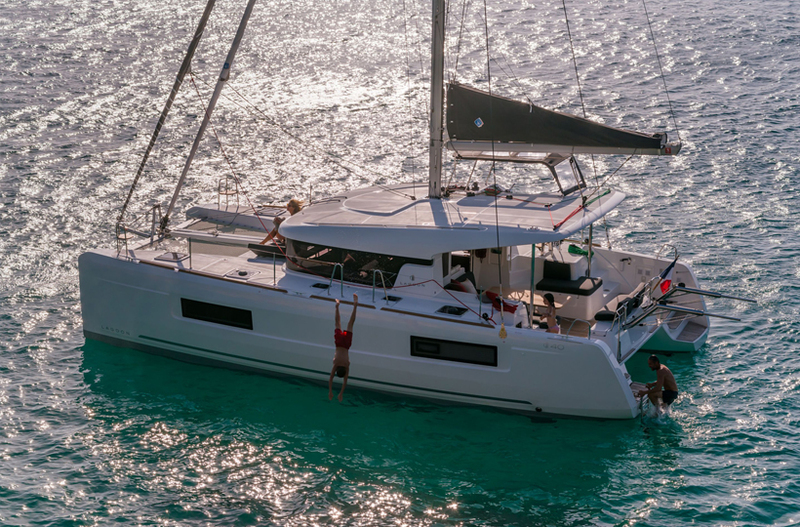 The islands provide perfect trade wind sailing (15 – 20 knots everyday) every colour of blue waters you can imagine, white sandy beaches, palm fringed anchorages stunning coral reefs, picture postcard stopovers and amazing friendly welcoming people at every stop. 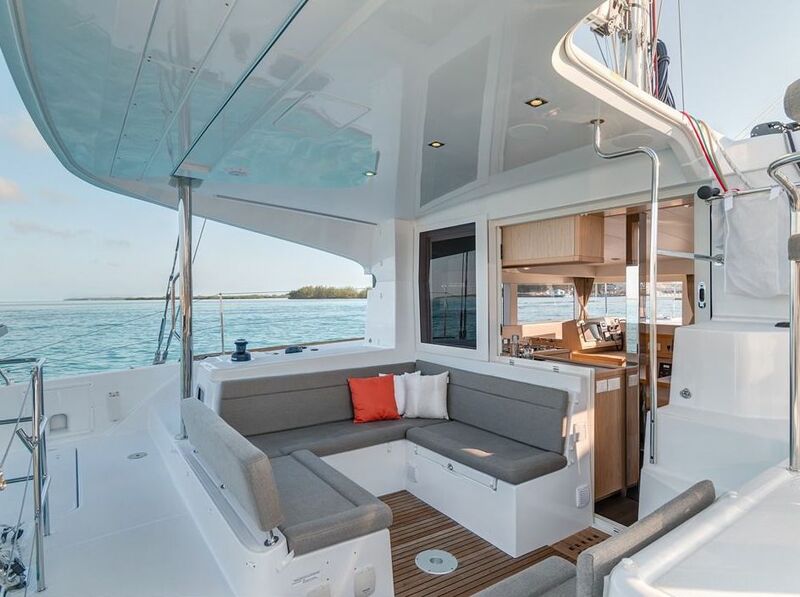 Our owner Steve, spent just under three year as a charter captain in these islands and knows every inch of the chain….above and below the water, leading you on a Caribbean adventure for all the family. 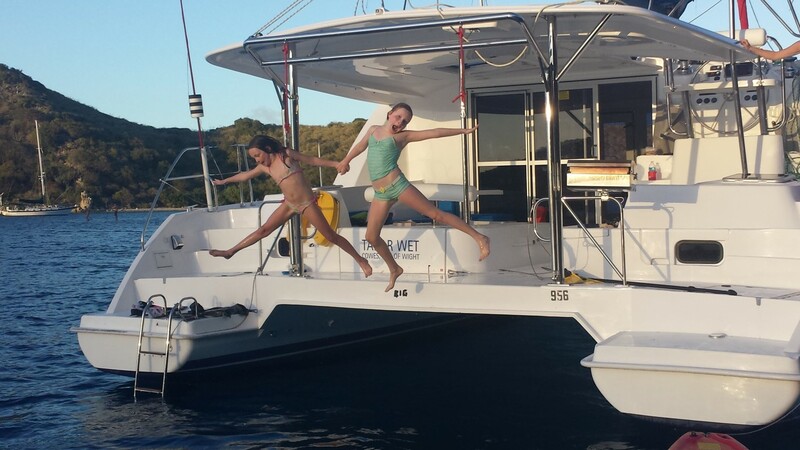 Sailing, swimming, snorkeling, diving, paddle boarding, kayaking, blue water fishing, saltwater fly fishing (See our saltwater fly fishing safari!) island tours, duty free shopping and so much more, all can be done while hopping from Island to island. 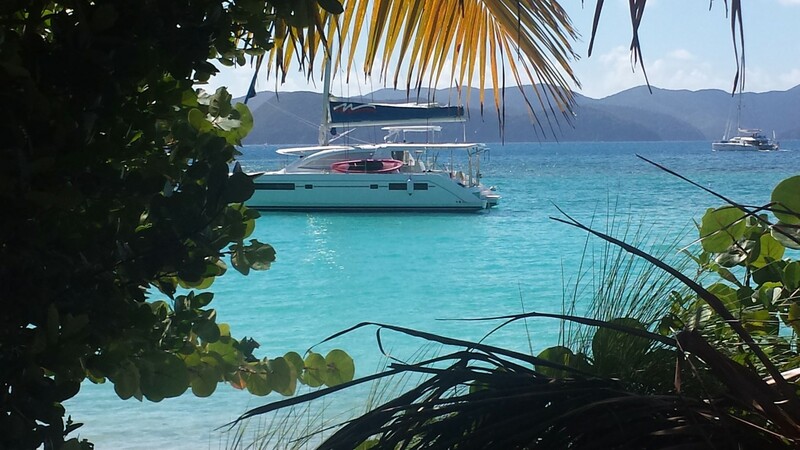 The British Virgin Islands – Why there? 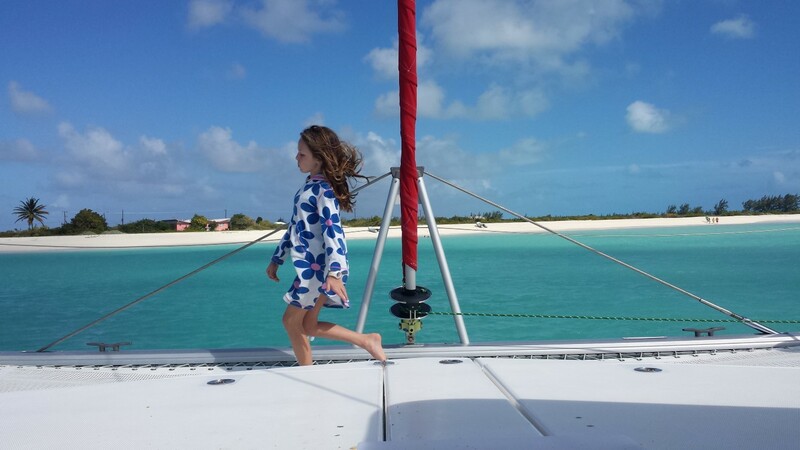 The British Virgin Island is considered one of the best cruising area’s for sailing holidays in the world, the following reasons will help you understand why. Accessibility – From the UK it is a simple 8 hours non stop transatlantic fight to, for instance, Antigua, BA, Virgin and several others operate this flight, from there it is a 1 hour transfer by local airlines to the North end of Tortola, the Airport is actually on a Beef Island, but this is linked to Tortola by a Bridge, so no ferries etc to consider. Constant winds – The Virgin Islands, like the rest of the Caribbean is blessed with Trade winds, these winds start to form around the end of November, after the end of the Hurricane Season, (usually over by Mid – late October) and stay in the islands until early Summer, this provide the island chain with an almost guaranteed 15 – 20 knots of perfect sailing winds, everyday! 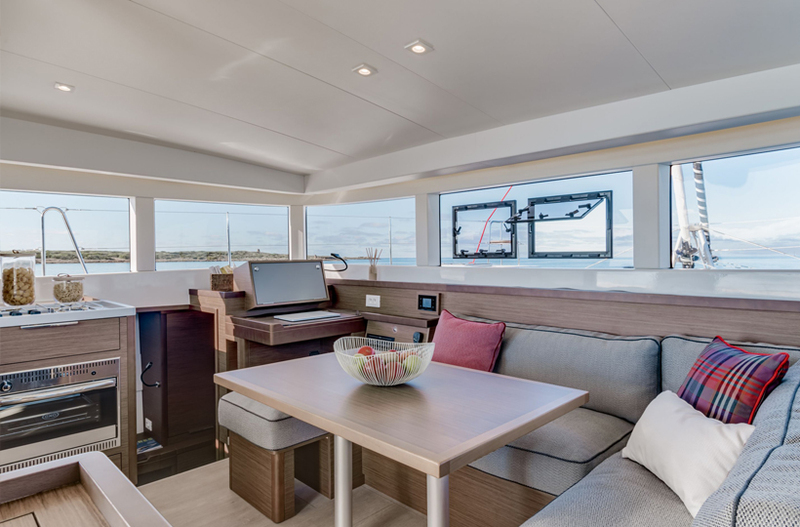 Sheltered waters – The island chain forms a wind and swell break from the Atlantic rollers, so by cruising up the Sir Francis Drake Channel, on the inside, or anywhere north and West of the islands means you are generally cruising in comfortable sheltered waters. If you are all keen sailors and enjoy more adventurous sailing then a cruise up the south of the chain is classic sailing. 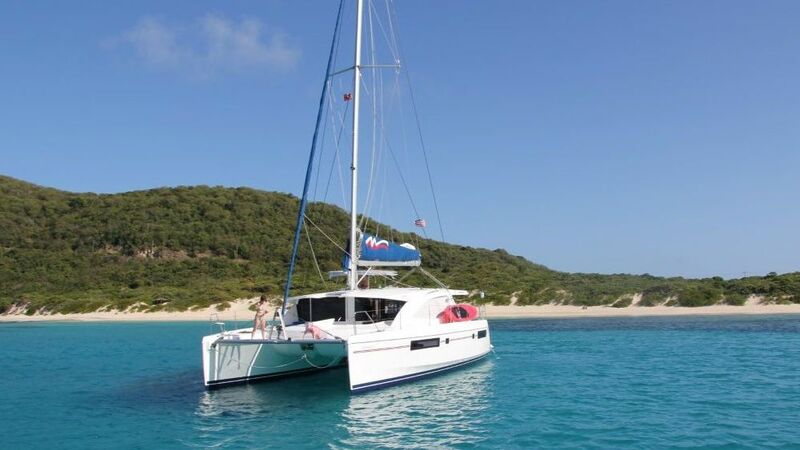 Anchorages – As mentioned before, most of your time will be spent at anchor, swimming snorkeling, relaxing, sleeping, with so many islands in the chain, each with pristine anchorages, the choice for lunch and over night stops is vast. Some are busy, some we can find for you where we will be the only boat, all have their advantages and exploring new places like this is the reason we do it. 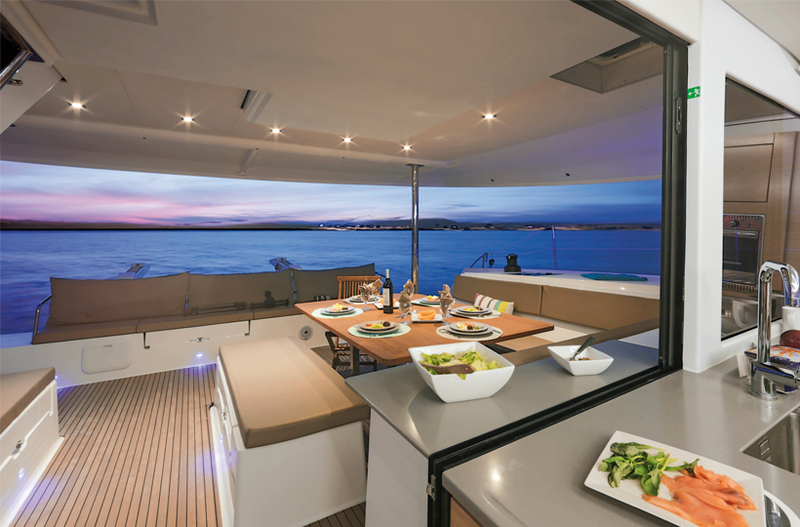 Climate – The BVI’s are in the Northern Hemisphere, which means their winters are the same as ours, October to April, however, what makes them different is that their summers, which are generally hot and muggy and attract hurricanes, are not the best time to sail. The climate is temperate, which means that it is fairly similar all year round, but in the winter, add to that perfect temperature, no hurricane risk and perfect trade winds and you have a climate perfect for your dream winter get away. 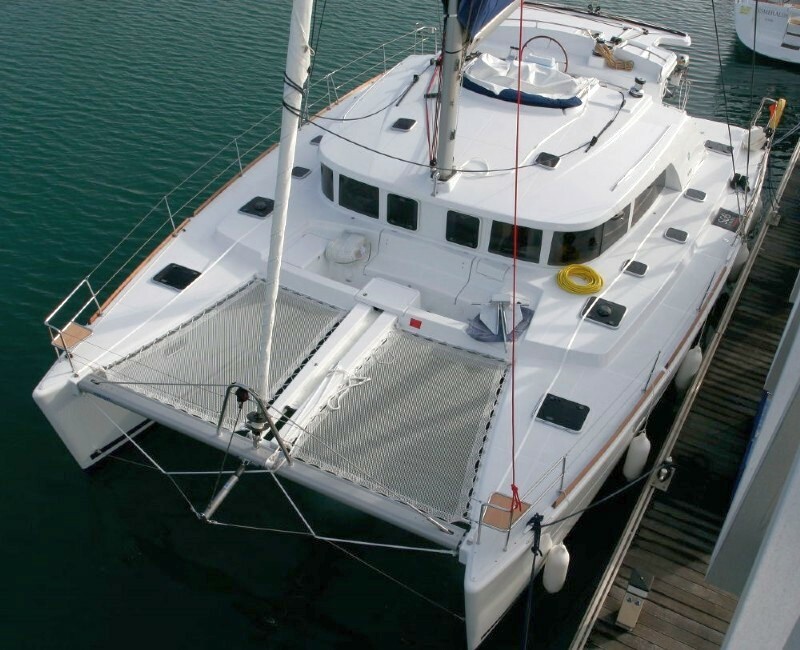 Charter boats – The BVI quite simply has the biggest charter fleet available in one location any where in the world, we have teamed up with a company that has a huge fleet of Cats and mono hulls, we can do skippered charter on either, but the for the type of family’s and groups we tend to take, Cats are our preferred boat. 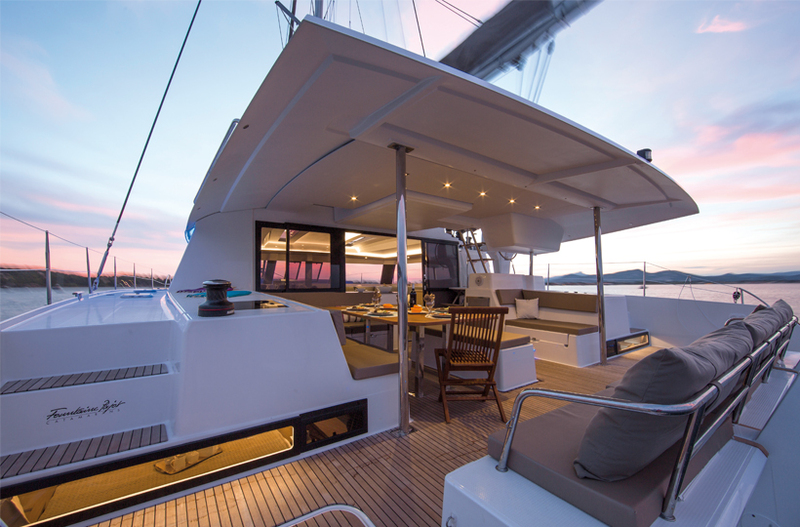 Knowledge – At Yacht Charter UK we love adventure and exploring new area’s while sailing, how ever, providing holidays, knowledge and advice we must never have risk attached, we are providing trip to the Virgin Island because we have years of experience running charters and sailing in the islands, Steve could take you fishing for your dinner, snorkeling on wrecks, find you secluded anchorages, fishing on drop off’s and much much more. 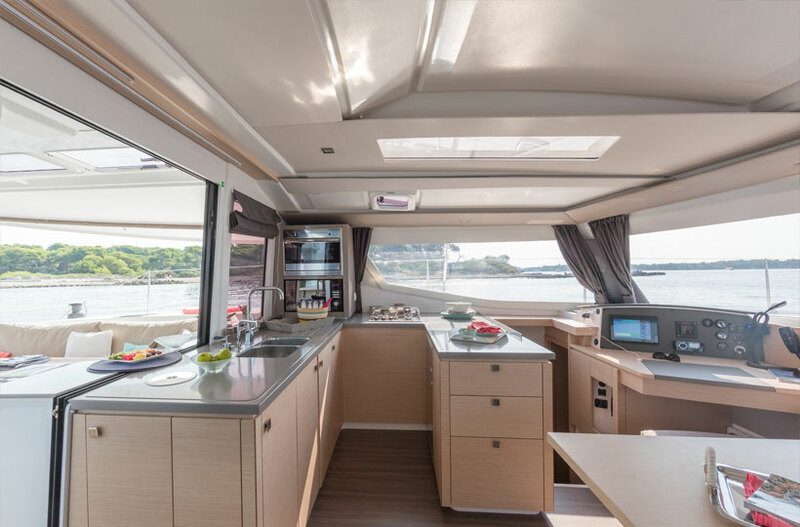 The Lagoon 40 is the upgraded version of the 39 that we have available for charter in the UK, this boat can be chartered with either 3 or 4 cabins, giving flexibility on your group size. 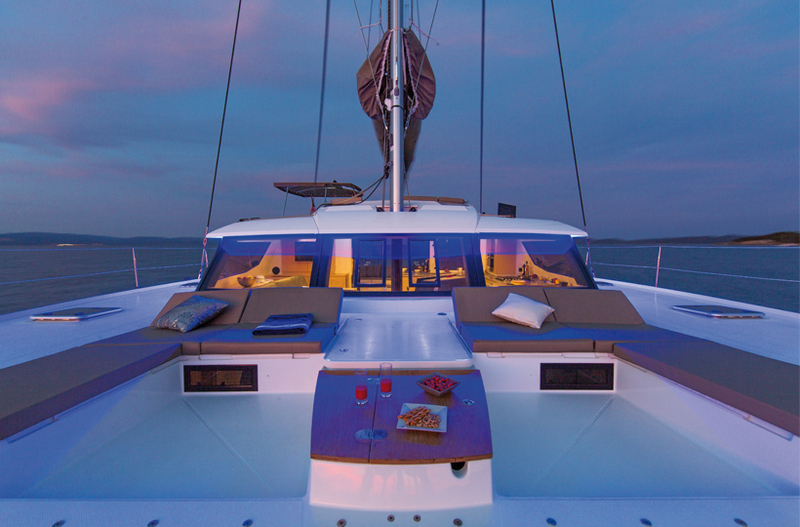 As most of the nights in the Caribbean are spent at anchor, a catamaran provides a superb platform for a comfortable night sleep. 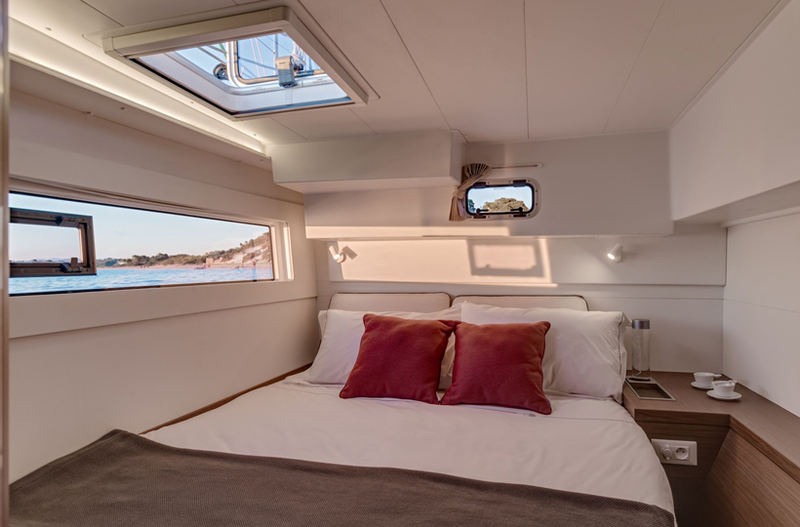 The Helia 44 gives the charterer the best of both worlds, not only does it have a ‘sport helm’ giving great all round vision while sailing as well as keeping your link with the friends and family, but it also has a fly brdge, providing the best of both worlds! 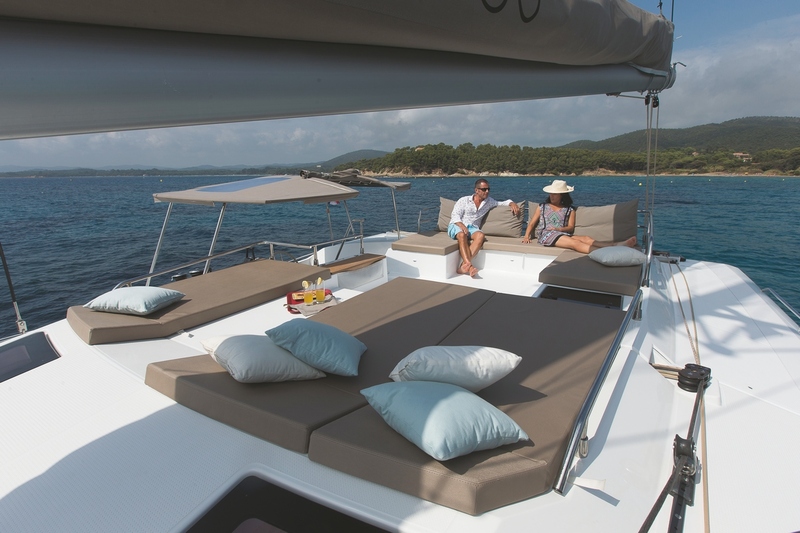 Relax in the cockpit, on the fly bridge or on the cushioned area at the bow, next to the trampolines, this boat offers comfort and luxury at usually found on boats double this size. 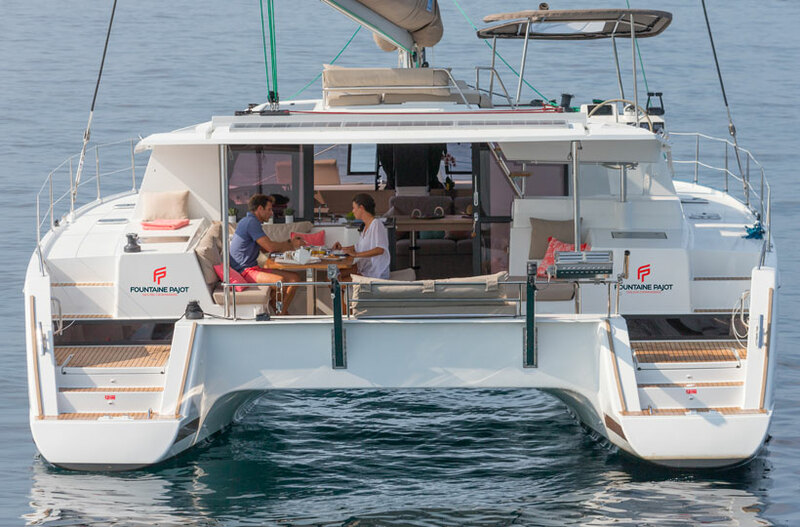 What can we say about the Fountain Pajot Saba 50, it is comfortable spacious, brilliantly designed, with space after space for relaxing and enjoying your holiday. 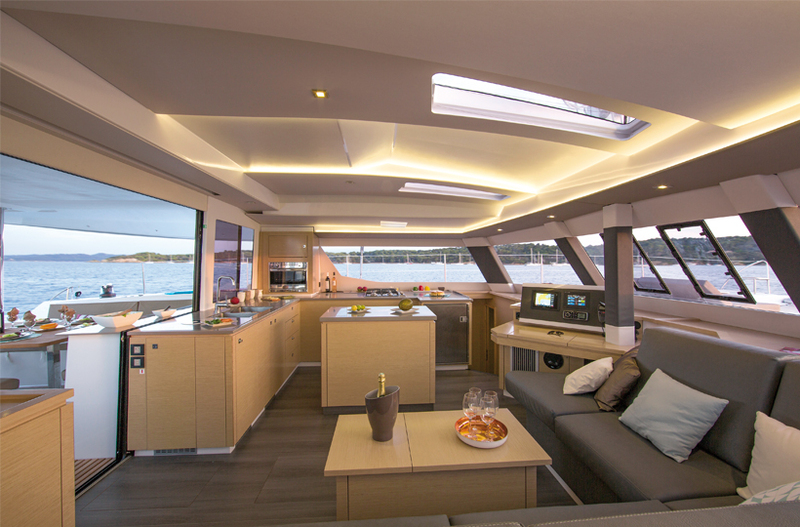 It has an aft cockpit as well as a forward one, so always somewhere to enjoy the sun, as well as an amazing fly bridge on the upper deck. 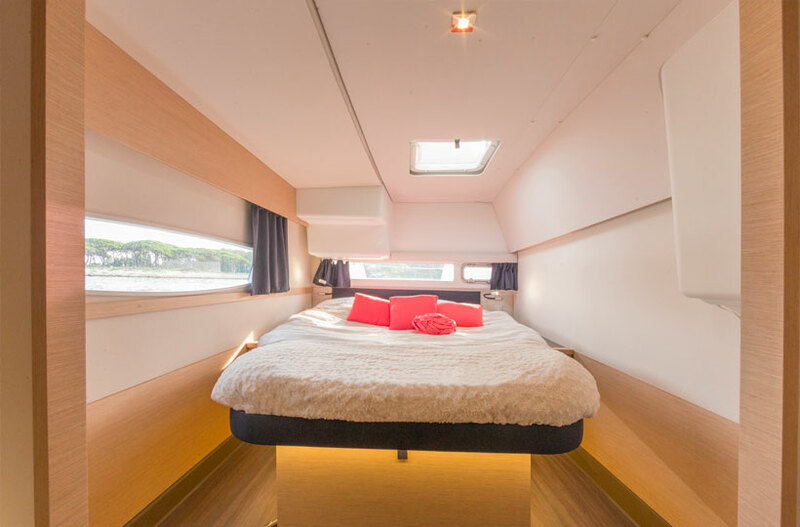 5 double cabins means groups of up to 10 can enjoy this superb boat, the saloon is spacious and airy, with full interlinking doors into the cockpit. 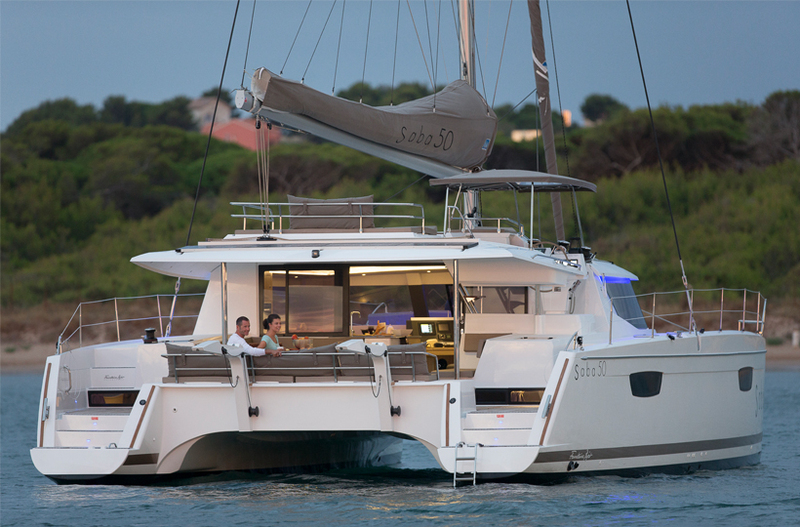 The Saba 50 has been designed with ease of sailing in mind and would create the perfect floating holiday home for cruising the islands of the Caribbean.